Home » Blog » 10 Questions: Does Your Work Reflect Who You Are? We go to school, get our degrees, take the most decent job offer we get after graduation, and then move from position to position, company to company, over the next years or decades. Not every job is a winner, but each serves its purpose (paycheck or experience) for a season. Sometimes, we’re thrilled with our journeys and where we are at given points in time, and sometimes… we’re not. I just finished reading a great book by Todd Henry (a fellow Miami University graduate!). 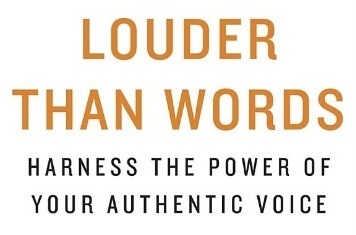 It’s called Louder than Words: Harness the Power of Your Authentic Voice, and it’s all about finding – and doing – work that represents the true, authentic you. Henry talks about defining your identity (who are you? ), establishing a vision for yourself (where do you want to go?) and achieving mastery in your field (how will you get there?). In the intro to the book, he gives meaning to the title and says that our work speaks loudly about who we are and what we value. Louder, even, than our words. After reading Henry’s book, I went back through and jotted down some questions that I found to be very thought-provoking. If you’re wondering if you’re really in the right line of work, take a few minutes to go through them. You may not have immediate, off-the-cuff answers to many of these questions. Sometimes those are the best kind. Challenge yourself to mull them over and see what insights you can come up with. Does your work really represent you well? Are you adding the value that only you are capable of contributing? Are you making a contribution that’s reflective of what you truly care about? Does your work speak louder than your words about who you are and what you value? Are you committing to the pursuit of brilliant work? Are you infusing your authentic self into your work? Are you pursuing your true passions and ambitions? What are you capable of contributing? I think those are challenging words. It’s easy to operate in default mode. We’ve all been (or are still) there. It takes courage to take a risk and move beyond your comfort zone. Is it time for you to summon yours? 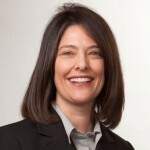 Lisa Sperow is a Career, Business, Executive and Leadership Coach with LEGEND Talent Management. Her company’s goal is to ensure that the right people are in the right jobs… at the right companies. Whether you’re an individual looking for the right career fit or a manager working on employee development / career plans, LEGEND Talent Management can help you find the job / person alignment you’re looking for.